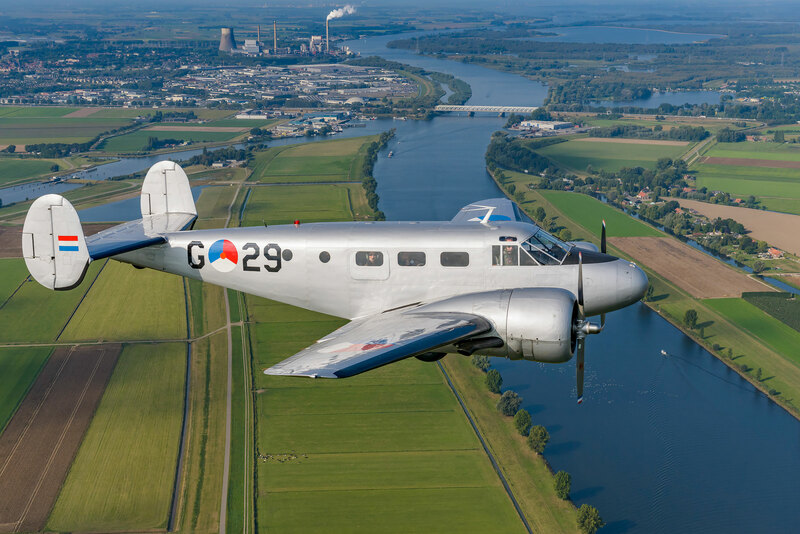 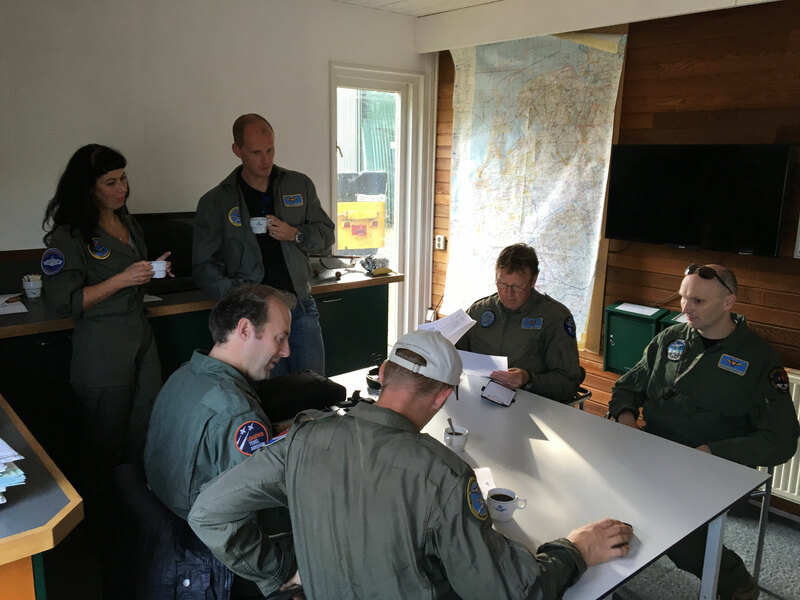 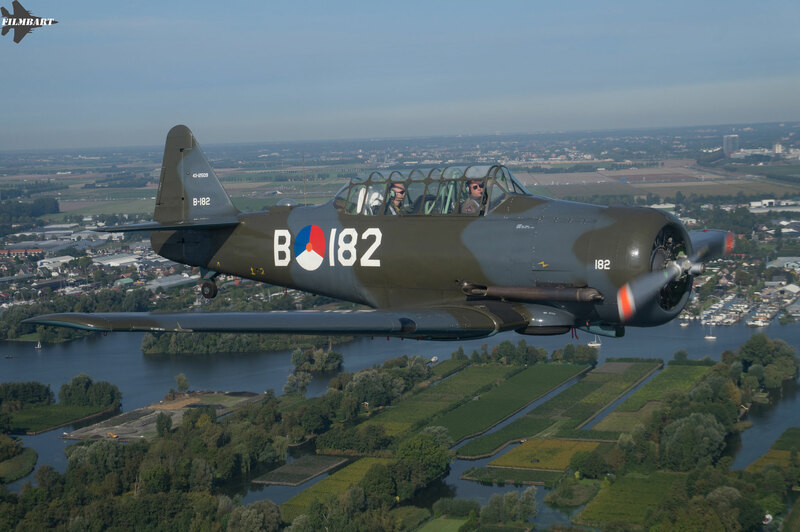 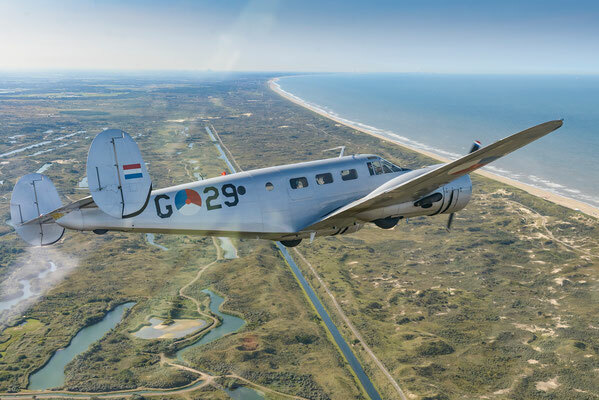 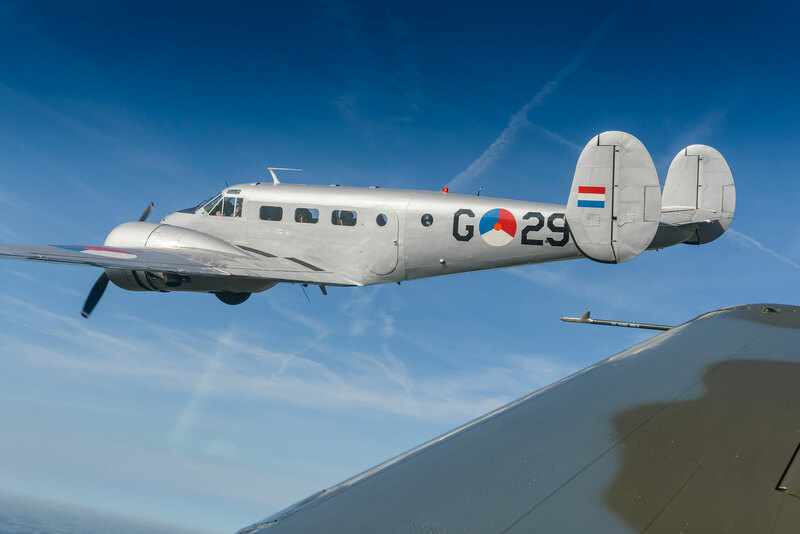 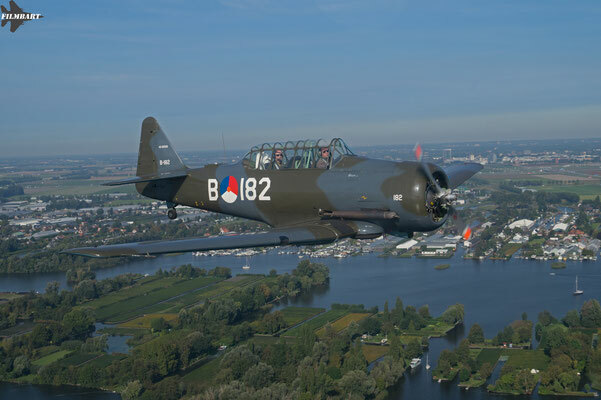 As part of the 15th anniversary of the Red Ball Express remembrance the Koninklijke Luchtmacht Historische Vlucht was asked to do a flyby at Fort Aalsmeer. I had the fortune to be selected as one of the passengers onboard the beautiful Beechcraft, together with my wife (thank you Rob!). 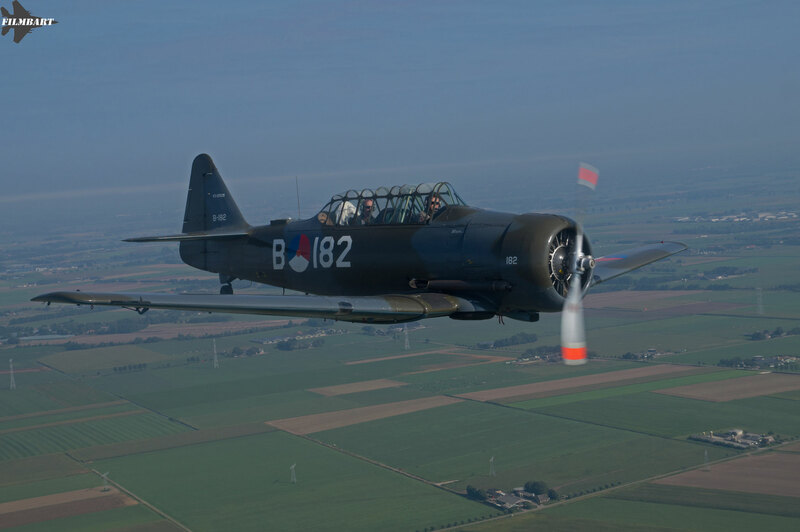 Of course I took my camera with me and as the engines started to roar at 10.20am I considered myself the happiest guy on earth. With perfect weather to fly we set of for a flight of littel over an hour. Because of a bit of tailwind the captain decided to do some formation flying practises enroute so there were plenty of opportunities to film and photograph the Harvard that flew as number 2 in our formation. 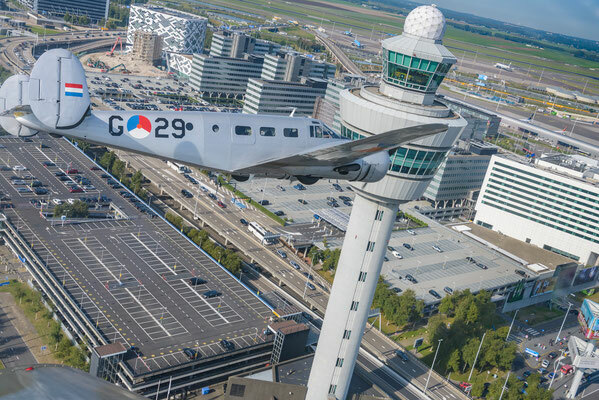 We were right on time overhead in Aalsmeer and after 3 flybys we left, but not straight home: we were lucky enough to be allowed to do a flyby over Schiphol airport!!!! 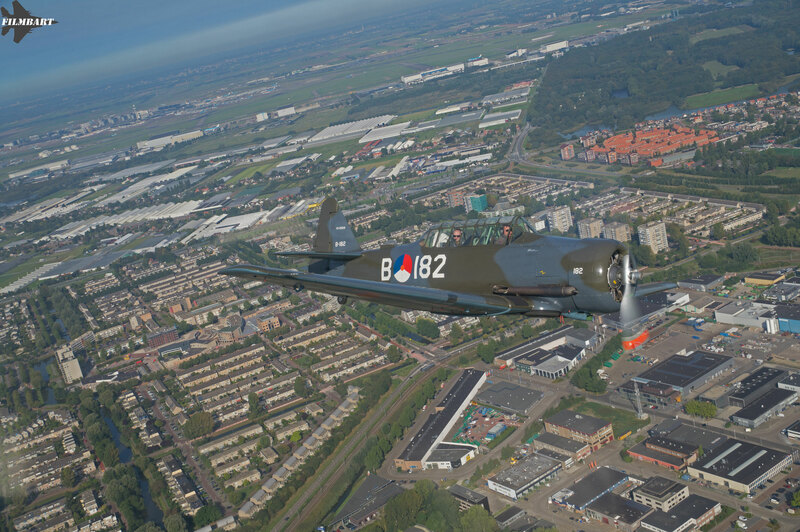 I tried to encapture this once in a lifetime experience in a video and some photos. 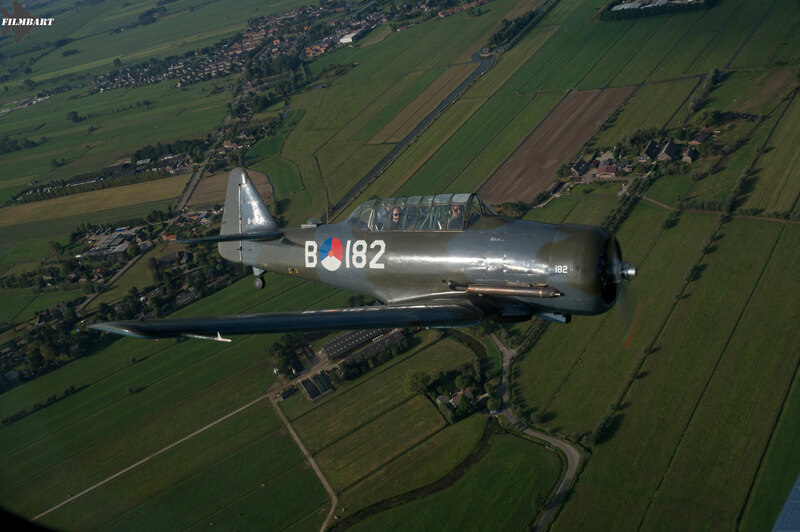 The song "Good life" seemed very, very appropriate. Big thanks to our pilots (Bart de Vries, Alexander in't Veld and Robert van Diemen) and thanks to Marisa Pumares, Raymond Peters en Frank Peters for the additional photos and video material.